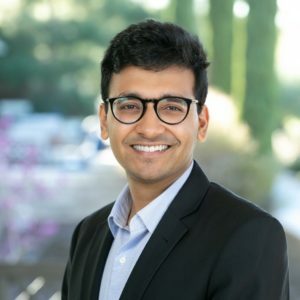 Adithya works with the Draper Richards Kaplan team to identify and support innovative social entrepreneurs. Previously, Adithya worked for 4 years at Teach For India on Strategy and Social Innovation in Mumbai and Delhi. He set up Teach For India’s Social Innovation Lab and led an incubator program for early-stage, high impact education entrepreneurs in India. Prior to that, Adithya was a Teach For India Fellow where he taught English, Math and History to 4th and 5th grade students in Mumbai. He was also an EdWise Fellow with the Central Square Foundation and conducted research on Public Private Partnerships in education in India. Adithya received a Master in Public Policy from the Harvard Kennedy School (HKS), where he worked with the Queen Rania Foundation to improve teacher training programs in Jordan, and with Malala Fund in Washington DC to develop an investment model for investing in girls education in Brazil and Mexico. Adithya has a BA from the Symbiosis International University where he majored in Journalism.